This message has been viewed 375 times. 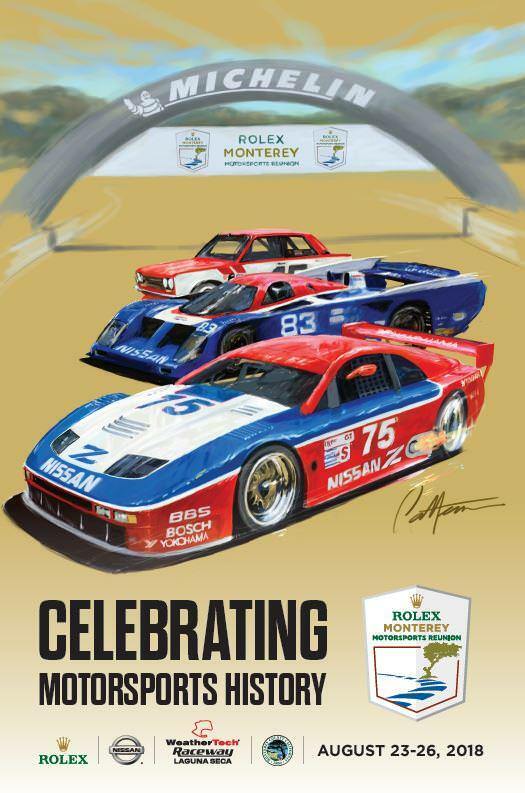 I'm real curious if the other two entries are actually IMSA Z chassis, or if maybe one of them is that yellow race-prepared Z32 that ran in support races during 90s IMSA events? It will be cool to find out either way. There will also be a Nissan Corral that supposedly has ~113 cars currently registered, but only ~8 or so Z32s. Is anyone from here for so sure going to the event? I'm planning to be there Sunday as it is one of the main days, and maybe either Thurs/Friday. FYI group 7B doesn't run on Saturday. You can still buy tickets and a Nissan Corral Parking Pass (Sports Cars Only) through ZONC's website. Lastly, there is a pre-reunion the weekend prior to the event. Very low-key, less than half of the people around, very close access to the cars. Something to consider if you're in the area. Check Laguna Seca's website for more info.